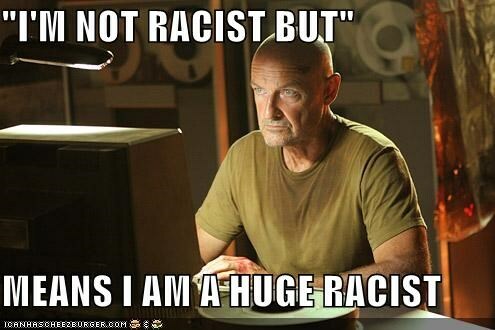 via Donald Sterling Says He Isn’t A Racist. Is Anyone? : Code Switch : NPR. via No One Cares If You Never Apologize for Your White Male Privilege | The Nation. Tonight, we attended a milestone birthday party honoring a very special person. She is a prominent member of several communities my family is involved with–school, work, parenting, and our children’s extracurricular activities. During her few words of thanks and acknowledgement, she talked of the village of people who surround her and the realization that she needs this village. I had always looked on her as a pillar of strength that I hope to emulate, so her words meant a great deal to me. On the extremely short ride home and the subsequent hours afterwards, I kept thinking of what she had said. Since she was a person I greatly admire and deem as wise and worth heeding, I wanted to write something about the bits of wisdom I heard from her tonight. In a different conversation with a different friend whom I also greatly admire and deem wise, we talked about diversity, inequality, and inclusion. We talked about the effects of not belonging, or at least feeling like one does not belong. The feeling of social ostracism has a way of affecting a person, for better and for worse. No, duh. Personally, it has spurred me towards more radical points-of-view, ideas that can be thought of as angry, militant, uncompromising. I am very much aware of this radicalization that is happening within my mindset. It doesn’t help that I had been given such labels when I wasn’t particularly, consciously, and purposefully radical and militant. But now I wonder, since I’ve been given these labels already, why not dive in? I might as well be hanged for a sheep as a lamb. These two conversations have led me to contemplate on the nature of belonging. The first thought that came to my mind is how necessary the feeling of belonging is. Since most of our time and effort as adults are spent at the workplace, a healthy, thriving sense of belonging both within one’s profession and one’s place of work is very important. Etsy.com: Socrates says “The unexamined life is not worth living.” I want this magnet. In a sense, the notions of racism and privilege serve to mark who belongs and who doesn’t. We, as a civilized society, have successfully driven overt racism underground and made it unacceptable, so we must now contend with racism (and other discriminatory ideas and practices) of the more subtle, more sophisticated sort. Oftentimes the sophistication is actually unintentional ignorance. Sometimes, it’s willful ignorance. Regardless of intentions, the perpetuation of inequity is still exacerbated by ignorance, period. And since even those of us who consider ourselves to be allies and champions for equity are also prone to the ignorance-laden occasional misstep, how can we continue to call and think of ourselves as belonging to the village of freedom fighters? Good question. The answer: every little bit helps. The party favor I took home tonight included a very nice glass bottle. It was inscribed with some timeless words from people who have done what they could in the name of freedom and justice. Part of the problem has always been recognizing bigotry when we see it. Spotting it is harder now than it was before. Spotting it within ourselves is the hardest task of all. Taking the necessary steps to spot them are incredible bits of good that are needed to overwhelm the world. Fighting for equity, social justice, and inclusion is fighting for belonging. Fight on. This Town Needs a Better Class of Racist – Ta-Nehisi Coates – The Atlantic. A racism that invites the bipartisan condemnation of Barack Obama and Mitch McConnell must necessarily be minor. A racism that invites the condemnation of Sean Hannity can’t be much of a threat. But a racism, condemnable by all civilized people, must make itself manifest now and again so that we may celebrate how far we have come. Meanwhile racism, elegant, lovely, monstrous, carries on. A race-conscious person is not necessarily more racist than a person who claims to be racially ‘colorblind’. Earlier, my oldest child sent me a link to an Independent Journal Review article focused on white male privilege. I was caught up in a lot of negative thoughts and emotions about its contents, then I calmed down some and started poking around to see about IJReview and the article they excerpted, published from The Princeton Tory. Turns out, my assumptions are founded, though I had dearly hoped to be wrong. Focusing on the political nature of the contents, instead of its social implications, is something I really don’t like doing. Though I think the personal is political and politics is a highly social endeavor, I don’t like pigeonholing particular opinions and beliefs into crude categories of ‘liberal’ and ‘conservative.’ Not one bit. However, I am fully aware that tendencies for particular values and beliefs to cluster around particular political expressions is fairly common. But that’s not the point I want to make here. The point is, I am deeply saddened by the very limited, very narrow interpretation of racial and gender privilege exemplified by Tal Fortgang. It makes me wonder what sorts of messages about privilege he had been given. He already made clear what sort of message he received. I know the word “privilege” has been getting bandied about lately and the overexposure puts it in danger of becoming meaningless. However, it has given us a means of speaking about matters that put certain things in perspective. (1) Privilege tells us that merit isn’t really merit, pure and simple. Talking about privilege (racial, gender, cultural, economic, familial, etc.) is actually about uncovering things that we take for granted. See, these things are normally hidden from view and examination. 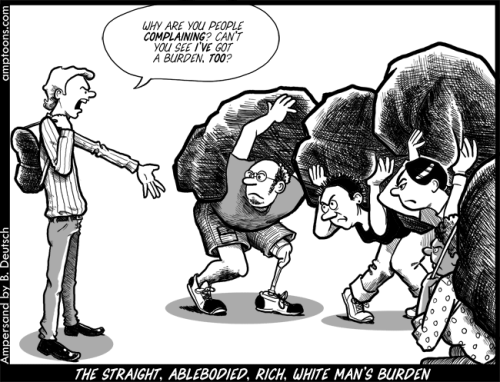 Privilege gives us the space and means to see them, even poke at them some. Does this mean that individual people who identify as white, economically comfortable, and male are the ones to blame for all the ills of the world? Emphatically, no. At least not individually. It does mean that such social classifications come with perks (i.e., privileges) that many others may not get to enjoy. Emphasis is on classifications of people. Whether we like it or not, it’s a thing we humans do. Then, we forget–sometimes intentionally, sometimes unintentionally–that this happens. This crazy-making erasure of our collective ranking of people is a big reason why many other people get upset. It upsets me. What makes it worse is that it’s a phantom. (2) Privilege is a moving, volatile target. It is particularly sensitive to history and context. And we usually operate under more than one history, more than one context. Fortgang talks about his Jewish family history in the op-ed piece he wrote. As an Asian American, who has been on the receiving end of the “model minority” myth and the admonishment that I’m actually not Asian, I understand Fortgang’s digging up history. But one thing I will never, ever get is the ability to pass as white. I’m too brown. Does privilege take away from Fortgang’s Jewish history and heritage? Um, no. His essay is replete with talk about hard work, persistence, endurance, and stuff about the American Dream, enough to make a patriot weep. 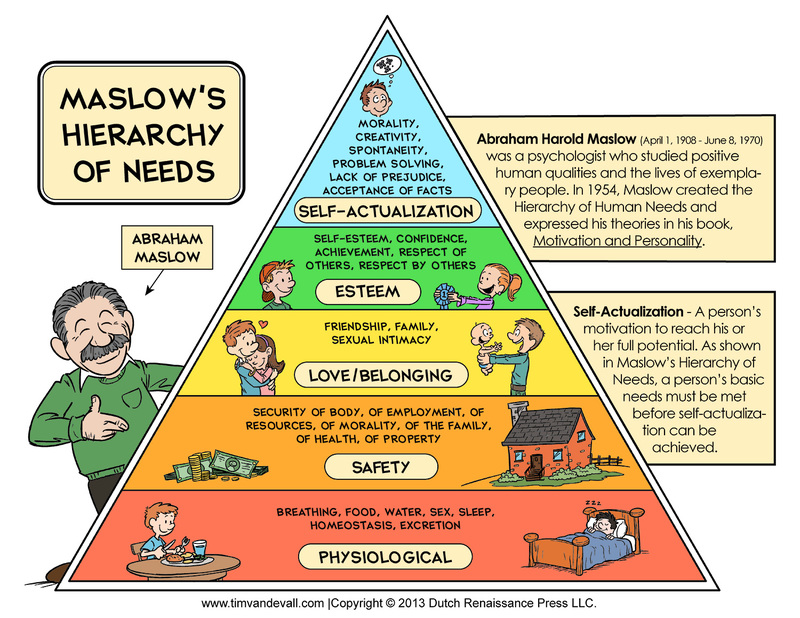 Underneath it all is this value-system that, let’s face it, ranks people and their behaviors according to worth. And such “merit” is so packed with privilege, I can’t even…I don’t even know where or how to begin. (3) Checking your privilege is not about apologizing for the ills of the world. It’s about acknowledging that you have advantages, whether you deserve them or not. Fortgang ends his essay by saying he has checked his privilege and apologizes for nothing. Um, ok. Good for you. The thing is, that’s not the point of checking one’s privilege. The point is seeing how one’s hard work and toil is furthered by things that have nothing to do with worthiness and merit. Some people like to call this “luck” or “fortune.” You don’t earn those. You just get them. There are many things that are beyond our control, such as the color of our skin, the nation and family we are born into, and the cultural, religious, and social heritage that are passed down to us. Some of these can be disadvantages. Some are privileges. I was born into a middle-class family in the Philippines, which is responsible for my early education in a Catholic school and my value system that emphasizes hard work, education, and lifelong learning. My parents came to the United States and decided to bring us kids here. While in the Philippines, the privilege of coming to America is self-evident. It means the likelihood of a life less poverty-stricken. It means getting viable employment. It means a better education. It means more choices. Some choices we make afford privileges, too. I am in a monogamous heterosexual marriage. My spouse and I have two children. I have an undergraduate and a graduate degree. Our family has food, shelter, and clothes to wear. We have indoor plumbing, electricity, and modern appliances to wash our clothes, store our food, and keep our home in a comfortable temperature. My family has the privilege to choose Montessori pedagogy for our children’s education. We have several computers and stream media entertainment as if these were life necessities. These all afford our family members outlooks and behaviors that are in keeping with a particular economic and social status. Becoming more conscious about race, gender, and social inequities is a lifelong endeavor. It starts with the simple concept of privilege and the unearned, unmerited advantages we all have. Till we collectively come up with a better term, I do encourage you to check your privilege. 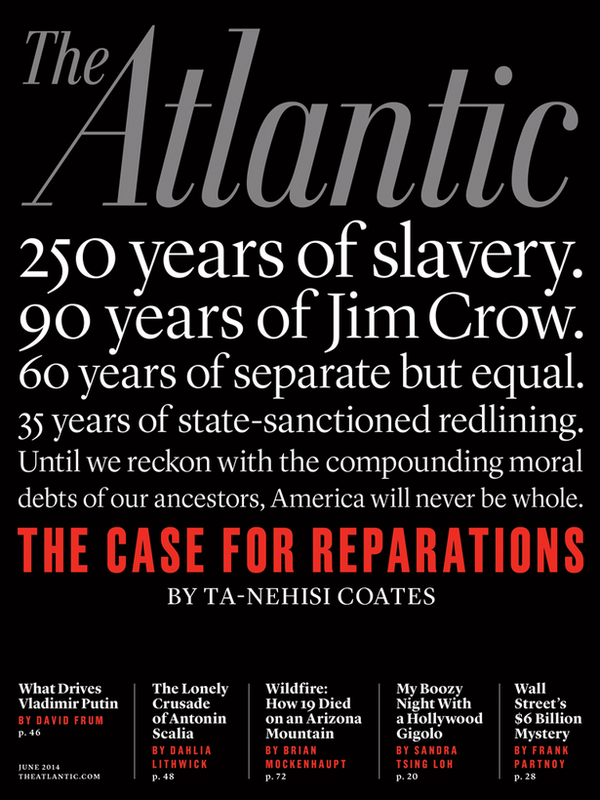 Start by reading Ta-Nehisi Coates’ article in The Atlantic “This Town Needs a Better Class of Racist.” One of the big take-aways of that article is the insidious and subtle nature of discrimination. There is no true antidote or cure for that. Nothing easy and quick, at least.